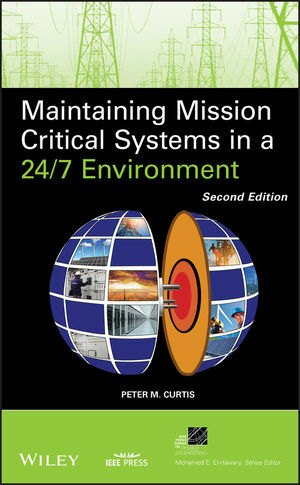 This book is meant to offer Architects, Property Mangers, Facility Managers, Building Engineers, Information Technology Professionals, Data Center Personnel, Electrical & Mechanical Technicians and students in undergraduate, graduate, or continuing education programs relevant insight into the Mission Critical Environment with an emphasis on business resiliency, data center efficiency, and green power technology. Industry improvements, standards, and techniques have been incorporated into the text and address the latest issues prevalent in the Mission Critical Industry. An emphasis on green technologies and certifications is presented throughout the book. In addition, a description of the United States energy infrastructure's dependency on oil, in relation to energy security in the mission critical industry, is discussed. In conjunction with this, either a new chapter will be created on updated policies and regulations specifically related to the mission critical industry or updates to policies and regulations will be woven into most chapters. The topics addressed throughout this book include safety, fire protection, energy security and data center cooling, along with other common challenges and issues facing industry engineers today. Peter M. Curtis is the founder of Power Management Concepts, LLC. He has twenty-eight years of experience designing, operating, managing, and educating in the mission critical facilities engineering industry. A keynote speaker for numerous semiannual conferences, Curtis is a member of the 7x24 Exchange, Association for Facilities Engineering, Institute of Electrical and Electronics Engineers, International Electrical Testing Association, International Facility Management Association, and the Association of Energy Engineers.